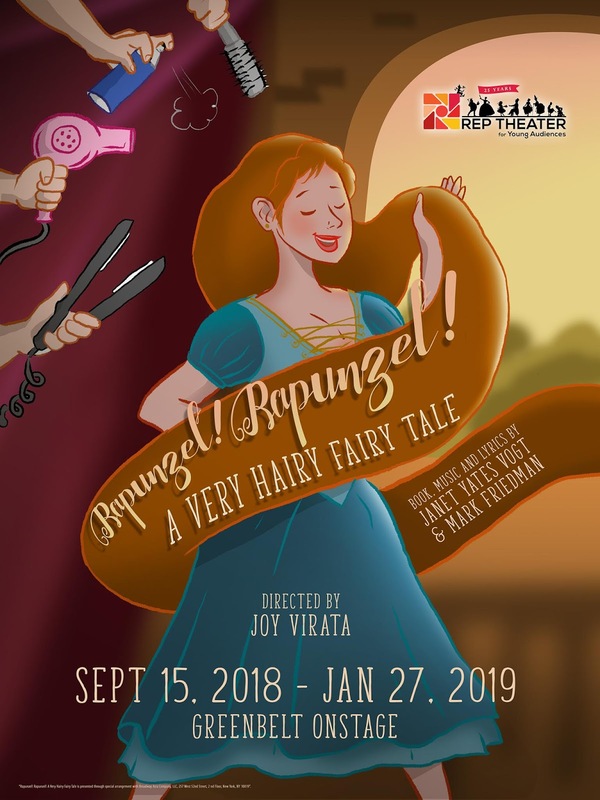 Rediscover the girl with a very, very, very long hair that does double duty as a rope, Rapunzel, as REP's Theater for Young Audiences brings you the story of Princess Rapunzel in Rapunzel! Rapunzel! 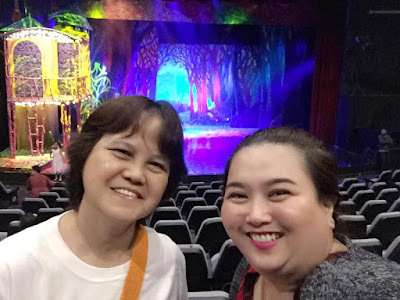 A Very Hairy Fairy Tale from September 15,2018 to January 27,2019 at the Onstage Theater Greenbelt, Makati City. 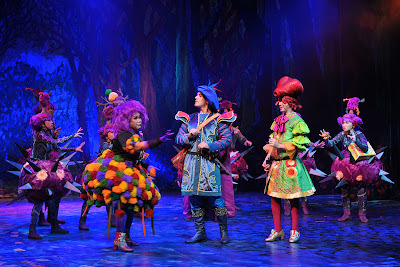 The stage design transports you to the deep dark forest and to the tower of Rapunzel. REP's Artistic director for Theater for Young Audiences Joy Virata directs and PJ Rebullida choreographs a quirky cast of characters in this updated musical version of the original Brothers Grimm fairy tale with book, music and lyrics by Janet Yates Vogt and Mark Friedman. We join Princess Rapunzel's story on the eve of her 18th birthday when she is supposed to report to the palace and take her rightful place as queen. But Rapunzel thinks she is only 15. Why? Because like most fairy tale stepmothers, who are usually wicked, Rapunzel’s stepmom, the narcissistic, but delightfully funny Lady Za Za, plans to swoop in after the princess’s time is up and claim the crown for her own. 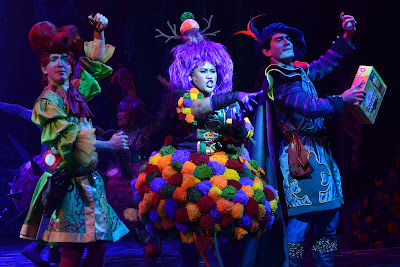 Meanwhile, in other parts of the kingdom, Sir Roderick is looking for a new quest, while his BFF, Edgar, who chose beauty school instead of knight training, is on a quest of his own for the perfect head of hair, and a mysterious gypsy woman is looking for her a powerful piece of jewelry that was stolen from her. Veteran stage actress Carla Guevara-Laforteza (and Christine Flores) inhabits the role of Lady Za Za, regal and demanding one minute and hilariously pouty the next. Her song, "Ït's All About Me," is one of the highlights of the show along with her huge hair. As Princess Rapunzel, Cara Barredo, has a Disney princess look and a sweet voice that perfectly serves her dreamy ballad, “Oh, I Wish." 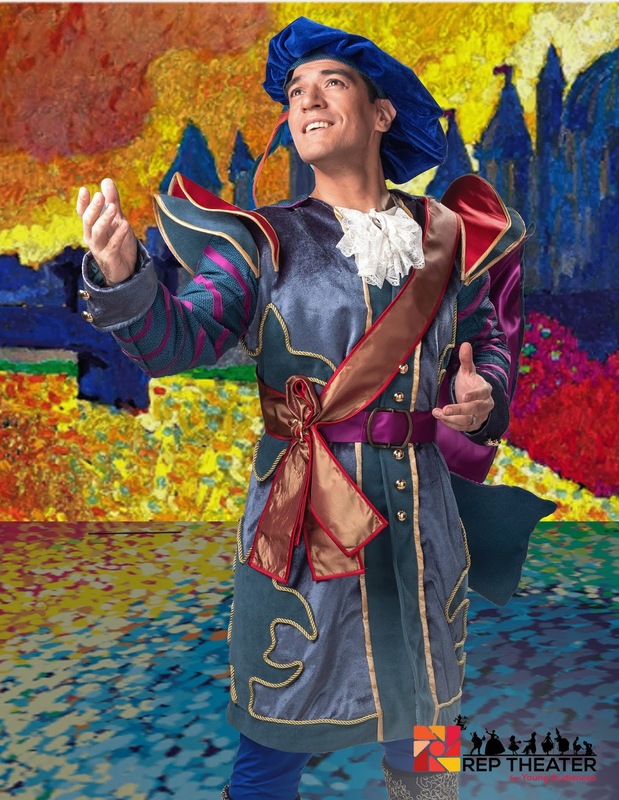 Barredo also played Beauty in REP's production of "Beauty and the Beast." 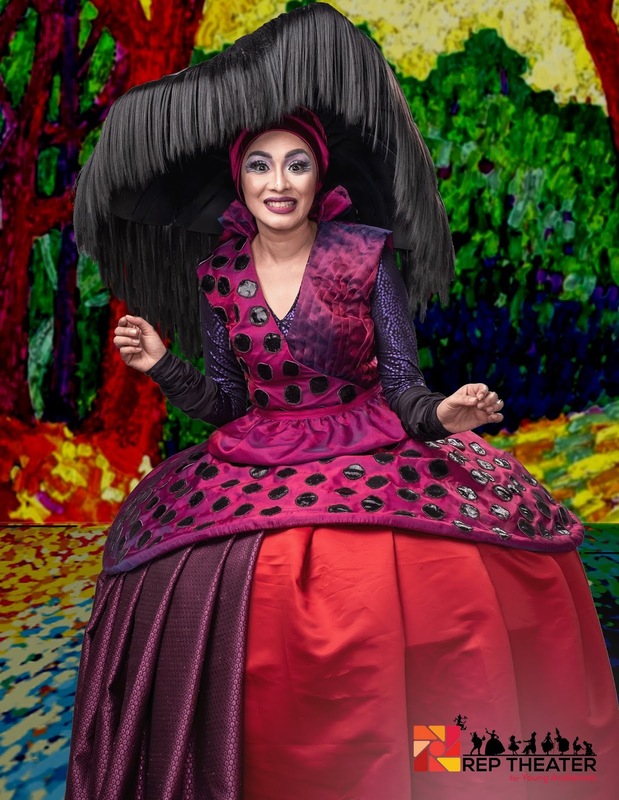 Barredo's fresh and youthful face works for Rapunzel, it's such a thrill to see her animated acting that has helped her hold her own in her limited tower space against her veteran children’s theater cast mates. Sir Roderick (Hans Eckstein and Andres Borromeo) shows us the charming but brave prince. His budding romance with the sheltered Rapunzel gives the audiences a "kilig"feeling (that feeling of elation or exhilaration or romantic excitement). Both are so adorable. His sidekick, Edgar (played by Steven Hotchkiss, Chino Veguillas, and Kenny Isidoro), also brought some parody into the show. 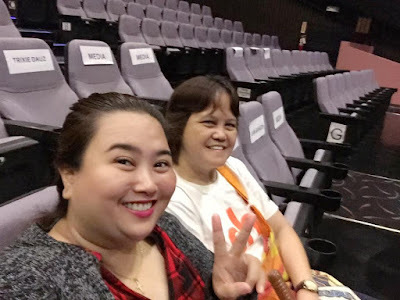 Veteran singer and recording actress Bituin Escalante (and Naths Everett) plays the mysterious gypsy woman in a mission on looking for her stolen piece of jewelry. The witty, old dragon Socrates (Arnel Carrion, Raymund Concepcion and Jamie Wilson) guards and tutors the trapped princess. The cast dances, cavorts, leaps and climbs on the set among layers of trees and on stone walls. Rapunzel’s tower glimmers in John Batalla's lush lighting with well-placed sparkly colorful walls. Not to be outdone are the costume designs. It's another highlight of the production as whoever was in charge of the costume designs put noticeable effort and attention to detail in the costumes, giving everyone on stage, including the dragon, just enough shine and twinkles. 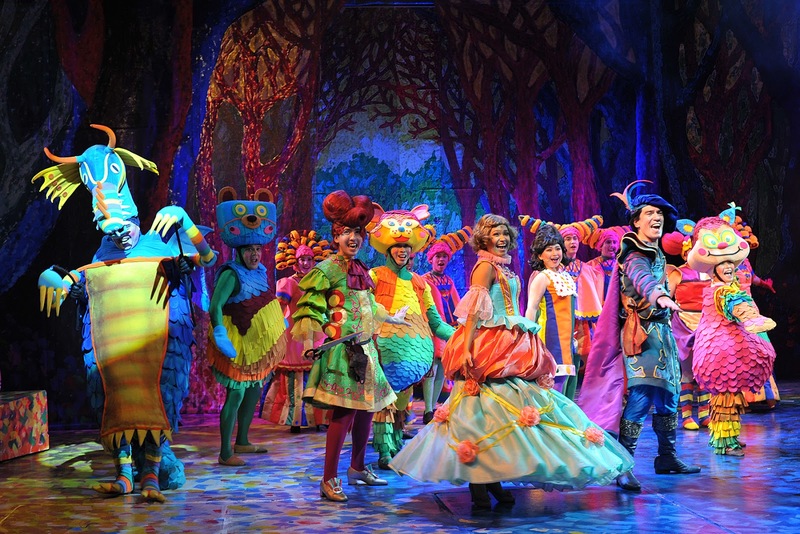 The animals on stage as well as the other princesses looks gorgeous with their beautifully designed overlays. The costumes never fail to impress. 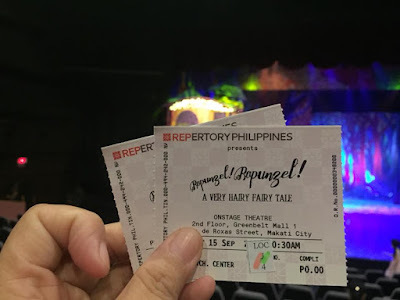 Two of my favorite scenes in the play are the part where Rapunzel and Socrates sang "Nothing Rhymes with Rapunzel," as the other princesses made their appearances namely Cinderella, Snow White, Princess Aurora (Sleeping Beauty), Princess Jasmine (Alladin) and Princess Ariel (Little Mermaid). The other part that I liked was the end part where Lady Za Za lost her humongous hair and almost went bald after she was left in the tower to receive her penalty from what she has done to her niece, Princess Rapunzel. The other Princesses of other well-loved fairy tales had a special appearance. My verdict: Rapunzel! Rapunzel! A Very Hairy Fairy Tale is detailed, charismatic and humorous. REP's take on the classic Grimm's fairy tale is an accessible musical for all the family. 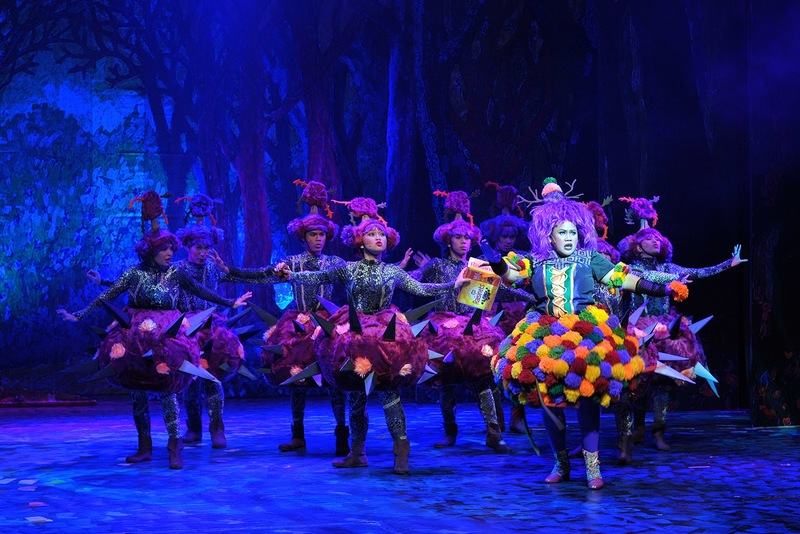 Presented in 75 minutes of jaunty songs and snappy choreography, it manages to keep the show pacy and plot-driven. 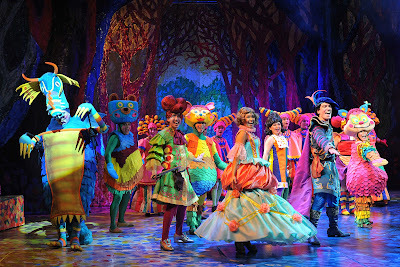 Visually, the show benefits from its large stage which caters to its larger-than-life characters. 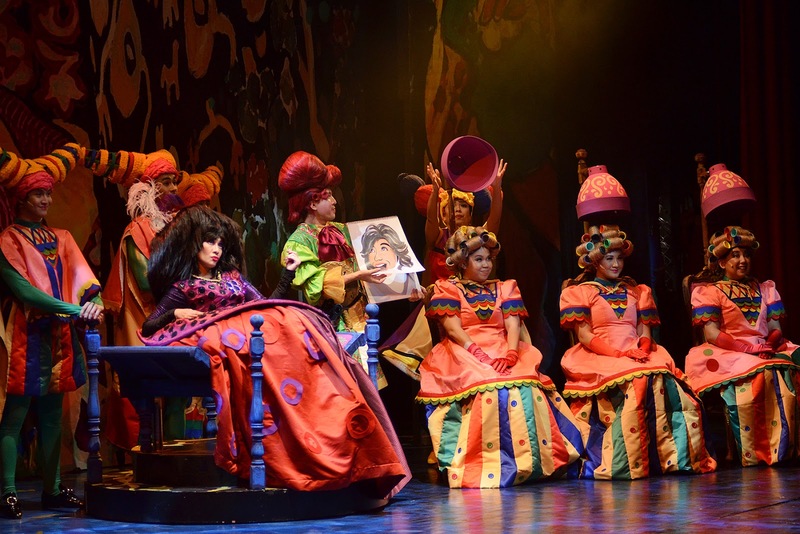 From Socrates colorful costumes and wings to the evil Lady Za Za's huge wigs, attention to detail pays off. Like so many modern adaptations of fairy tales (think Disney’s Tangled) there are references to Beyoncé and Princess Leia (Star Wars fame), hairstyles and modern day dating throughout, which are well-received, especially by the adults. However, it is here that the show sometimes lacks some of the magic of the original fairytale. 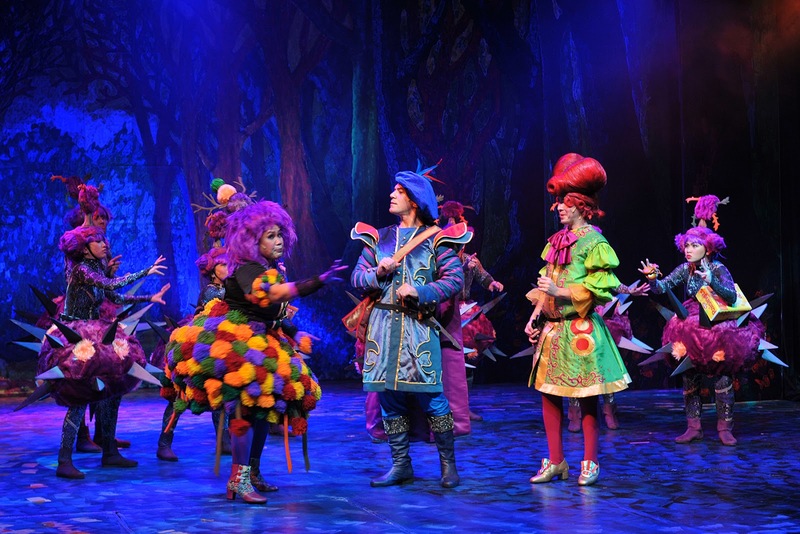 Traditional aspects, which make the tale exciting and other-worldly for a young audience, are sacrificed. At times I wanted fire-breathing dragons or a King and Queen with more of an air of traditional majesty. 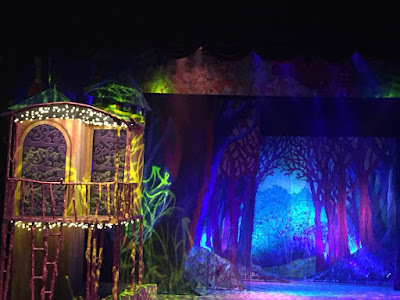 Cara Barredo plays Rapunzel to a T.
Special commendation goes to Cara Barredo who is as sweet and maiden-like as a true fairy princess with a lyrical and clear soprano voice to match. Furthermore, when many of the cast run around the audience, climbing over delighted audience members and generally wreaking havoc, I, like many of the children, was excited to see such weird and wonderful characters up close, especially when they went closer to the audience and asked them if we've seen Lady Za Za. Moments like this keep the show fresh and exciting, and despite knowing the ending, we are taken on an unexpected adventure that twists and turns in ways that will continue to delight all. REP's Rapunzel! Rapunzel! A Very Hairy Fairy Tale is recommended for children 4 and older. Adults will enjoy it as well with a clever script that’s full of fun pop culture references. If your holiday schedule has you tearing your hair out, take some time to relax with the family, and enjoy this hair-larious update of a familiar fairy tale. Purple Plum Fairy with her Mom enjoyed the show. My Mom and Purple Plum Fairy all smiles after the show. For available show dates and tickets, call the REP hotline at 843-3570 or Ticketworld at 891-9999 or log on to www.ticketworld.com.ph. Disclaimer: I am not compensated for this post. Opinions are 100% my own.